Evidence is mounting that North Carolina's Department of Environment and Natural Resources (DENR) under this Republican regime is in the business of shielding Duke Energy from responsibility for dumping 80,000 tons -- tons! -- of coal ash into the Dan River. 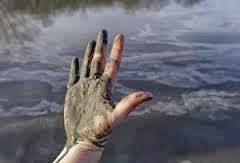 Over the last year, environmental groups have tried three times to use the federal Clean Water Act to force Duke Energy to clear out leaky coal ash dumps like the one that ruptured last week, spewing enough toxic sludge into a North Carolina river to fill 73 Olympic-sized pools. Each time, they say, their efforts have been stymied by the N.C. Department of Environment and Natural Resources. The state agency has blocked the citizen lawsuits by intervening at the last minute to assert its own authority under the federal act to take enforcement action. After negotiating with Duke, the state proposed settlements where the nation's largest electricity provider pays modest fines but is under no requirement to actually clean up its coal ash ponds. Just wait until DENR's also coddling and protecting the fracking industry!